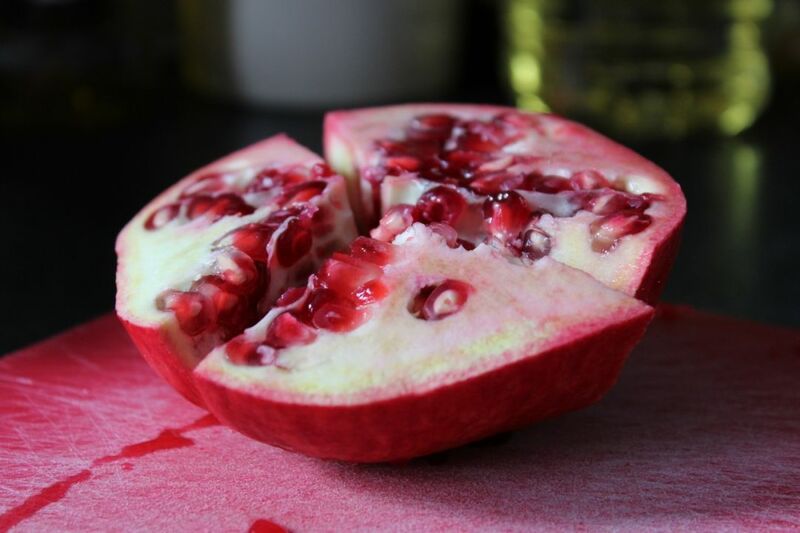 Pomegranates were one of the earliest cultivated fruits. It's no surprise that they appear frequently in Greek myths, most prominently in the story of Persephone and Hades. Since then, the flowering plant has appeared in important artistic works around the world, including the Bible and Romeo & Juliet. Many Middle Eastern dishes are enhanced by the addition of this fruit, either raw or added in the form of pomegranate molasses. In the Houston area, pomegranates are in season from September to February. 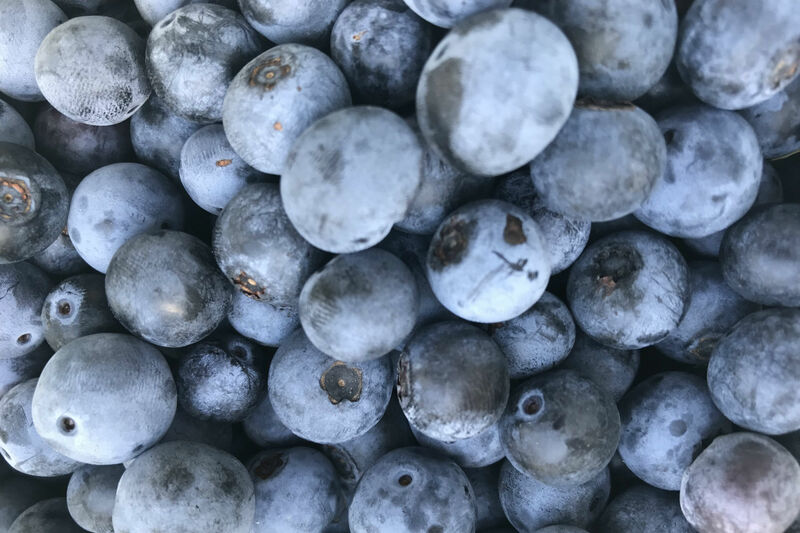 The well-known superfood offers high doses of Vitamin B5, Vitamin C and potassium as well as other vitamins and minerals. 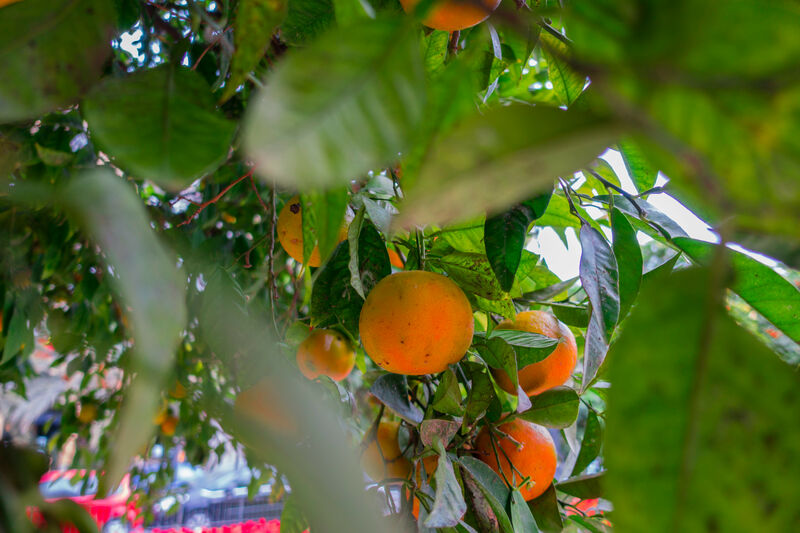 The fruit contains lots of little crisp arils—their characteristic seeds encased in juicy pulp. The flavor falls somewhere between sweet and tart, depending on the variety. Also known as granadas, their Spanish name, local pomegranates can be tracked back to early Spanish missions in the 1500s. They enjoy the hot, dry South Texas climate and don't mind the alkaline soil. 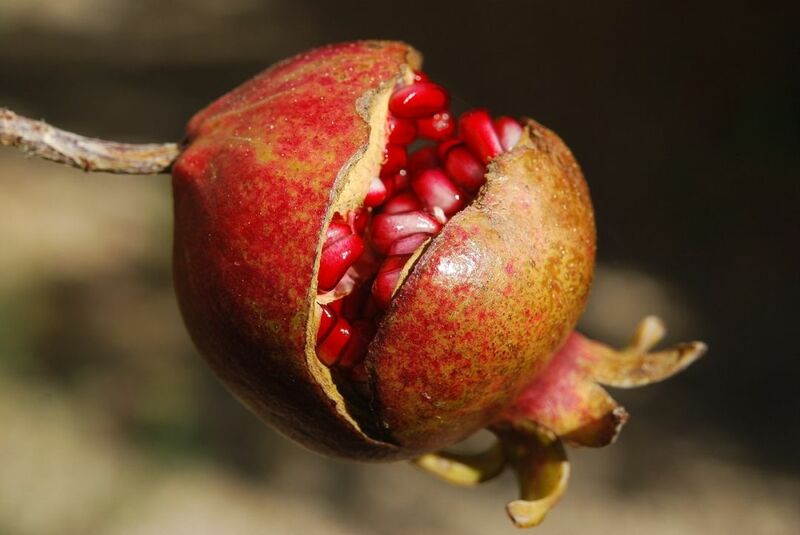 Even in a drought, pomegranate shrubs can thrive. Pomegranate is versatile enough to add to both sweet and savory dishes. Try the seeds in a roasted-beet-and-orange salad or add them to a wild-rice-and-barley pilaf. Consider a chicken tagine, pomegranate-Champagne cocktail or even a spicy homemade jam. 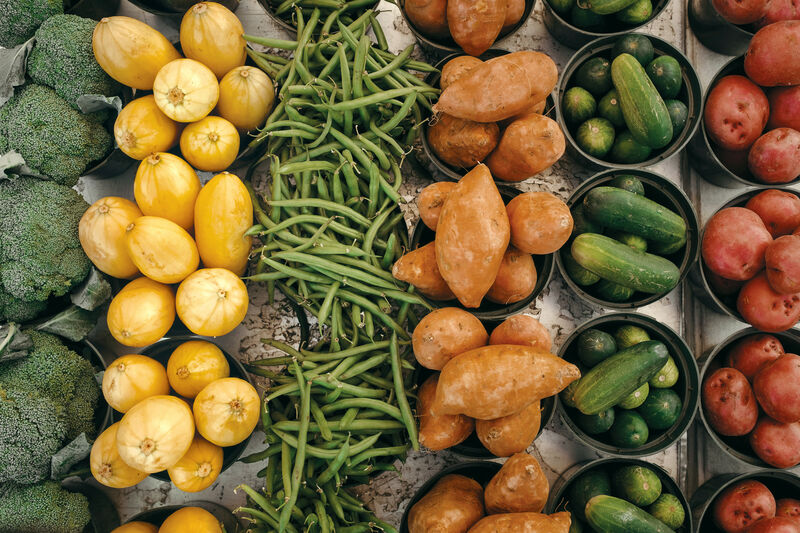 There are plenty of culinary possibilities for this exquisite fruit. To get the seeds out, roll the fruit a bit to loosen them and then cut around the middle of the body and tear it into two halves. Next hold the fruit over a bowl and tap the skin to release the seeds. You might need to squeeze a bit. Another method is to submerge the fruit in water after cutting around it. 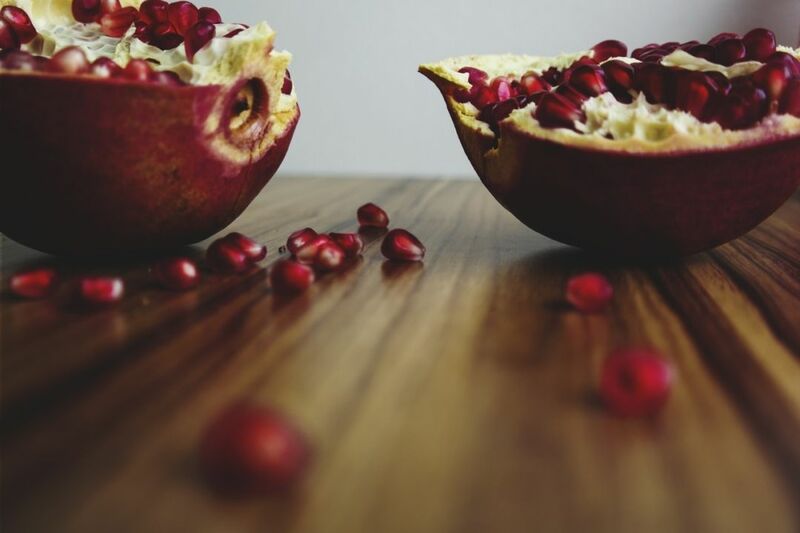 Tear the pomegranate open and press out the seeds with your fingers. The seeds will sink and the pith will float, so you can just drain the seeds. One advantage of the second method is pomegranate juice can stain so if you open the pomegranate in the water, it won't spray at your clothes. Although there are plenty of places to pick up an exotic pomegranate martini or other fruity cocktail, if you're in the mood for a revitalizing, antioxidant-rich beverage, head to Jamba Juice and order the Pomegranate Paradise Smoothie. Along with the pomegranate, this drink boasts the fruity flavors of strawberry, mango and peach. Turn it into lunch by adding something else to your order. I like to pair my smoothie with the Black Forest ham, Jarlsberg cheese and Dijon toasted bistro sandwich. This unusual recipe makes use of pomegranate juice and pomegranate seeds. The marinade doubles up as a basting sauce, and the flavors of garlic, mustard, balsamic vinegar, fresh herbs and pomegranate blend beautifully. This dish can be served over your choice of rice or quinoa, perhaps with some spinach or kale, pomegranate seeds and chopped walnuts stirred in. Cook the rice or quinoa in vegetable broth to add even more flavor. Mix all the marinade ingredients in a bowl, reserving 3/4 cup of the mixture for a baste. Put the steaks in a Ziploc bag and add the marinade, then turn to coat and marinate in the refrigerator for 1 or 2 hours. You can use a non-metallic dish if you don't have a Ziploc bag. Bring the 3/4 cup of basting sauce to a boil in a pan, then let the mixture simmer for 15 minutes or until reduced by half. Set this to one side. Now it's time to take the steaks out of the marinade (you can discard the marinade). Let them sit at room temperature while you heat up the grill to a medium heat. Grill the steaks for about 8 minutes for medium-rare or 10 minutes for medium, turning occasionally and using the sauce to baste. Let the steaks rest for a few minutes then cut them into slices, grind a little salt over them and garnish with the goat cheese and pomegranate seeds on a bed of rice or quinoa as you prefer. 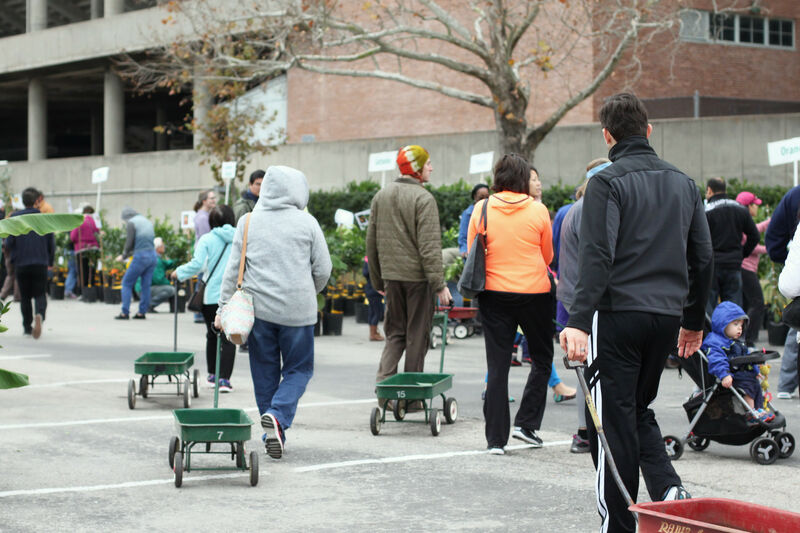 Stay tuned every week to learn more about what's fresh and exciting at the market and where you can enjoy the tasty bounty of the season.